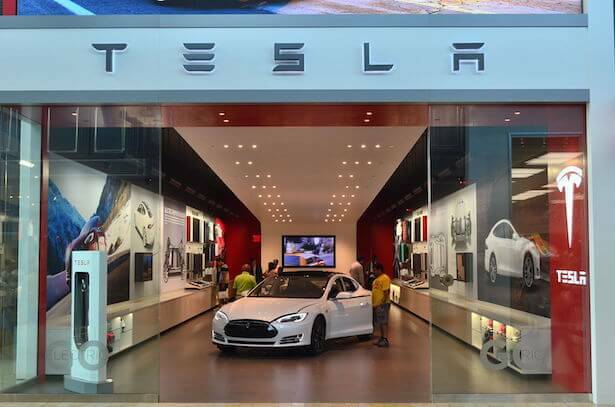 > How is retail influencing automotive ecommerce strategy? Posted: Tuesday 12th September 2017 in eCommerce Technology, News, Retail Strategy, Senior Management Team, Thought Leadership. There was a time around 2006 when a slow news day might have seen stories about outrageous eBay purchases, such as Roman Abramovich and his $85m online purchase of a ‘Gigayacht’. The thought of such big numbers and such large items exchanging hands over the internet was astonishing to some people who did not yet trust the internet enough to buy a washing machine online, let alone a super yacht. Fast forward to 2017 and buying and selling pretty much anything online is no great shakes. That includes cars, with both dealerships and manufacturers making the move into ecommerce. 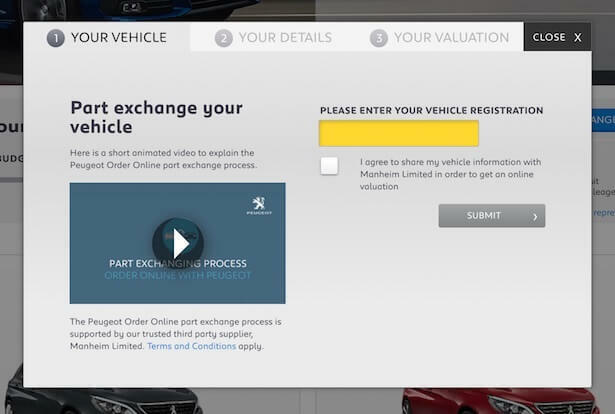 Peugeot now sells online directly to the consumer and is the first OEM (original equipment manufacturer, the industry term for a manufacturer) to provide a binding part exchange valuation, full credit checks, and the process and approval of the finance application entirely online. You can do all of this without having to visit or talk to a dealer, until they deliver the car to your doorstep. To put this into perspective, Accenture reports that automotive OEMs sell around 70% of their new vehicles to independent franchise dealers, which then retail to the customer. OEMs have no history of retail expertise, so enabling them to do this via a website is heck of a challenge. On top of all the technical and cultural challenges inherent, couldn’t taking sales away from franchise dealers be a bit of a political hot potato, too? 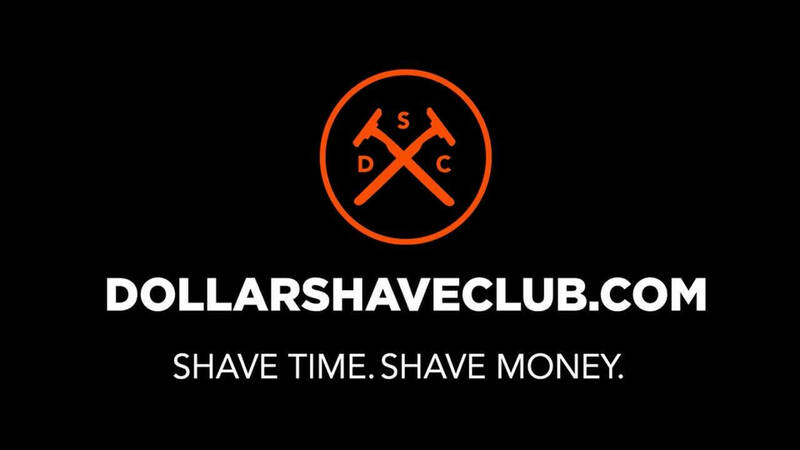 FMCG brands have faced a similar dilemma, with Gillette struggling to go direct to consumer (both due to the size of the challenge and the fear of undercutting their lucrative retail partners) and ultimately being caught unawares by Dollar Shave club. Specialising in online, Summit is the UK retail specialist that has worked with both Jaguar Land Rover to sell merchandise online and Peugeot to enable its ecommerce experience. I caught up with Summit recently to get a handle on the automotive industry and find out about the coming evolution of car buying online. The automotive sector has perhaps been characterised by inertia over the past decade or so when it comes to innovating the buying experience. This inertia (from OEMs and dealerships) arguably opened up niches in the market, filled by companies such as carwow and We Buy Any Car, which provide slick online experiences. However, the landscape is changing. Ecommerce is increasingly common across many different industries where retail was previously unheard of. Tony Patterson, Client Services Director at Summit, tells me the agency has worked with several brands from outside of retail that have wanted to sell online. Reckitt Benckiser is one example he cites, owner of brands such as Dettol and Durex. OEMs it seems are ready to make this leap, too. The opportunity is there for car manufacturers to increase their market share, create efficiencies and perhaps even reduce their reliance on dealerships in the long run. 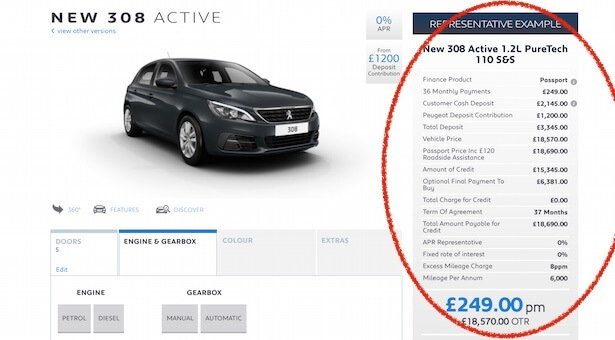 As Peugeot has rolled out its ecommerce capability, Patterson talks about the rest of the sector wanting to follow, with Summit creating a dedicated automotive channel in the last few months, aware that other OEMs will not want to be seen as laggards. If Chinese OEMs could start pushing more sophisticated ecommerce experiences, established manufacturers in Europe will not want to be caught on the hop. Tesla has already shown how this could work, running 19 outlets (rather than using dealerships) and allowing consumers to reserve cars online (though not complete the purchase). Of course, the backdrop to all of this is a big change in consumer expectations of online (or multichannel) services and experiences. Consumers are influenced by the increasing convenience of online retail, with flexible and fast delivery options. Consumers are also taking advantage of car finance and starting to think about buying a car as more of a monthly spend than an initial lump sum. Many people also want insurance, servicing etc. included in the price, and if they opt to avoid the final payment of their PCP finance agreement by taking another new car, a picture starts to emerge of consumers who view their car as a service. Patterson tells me that it’s not hard to make the mental leap to the idea of motability – a future where you may have a subscription to Peugeot and drive one of their small cars in the week, but request a bigger one on the weekend. Amidst the trend in many sectors for services over products, it’s easy to see why automotive OEMs would want to start making connections directly with consumers, building their expertise in retail and data-driven marketing. Let’s take a closer look at the Peugeot ecommerce website to see exactly what it offers. And finally, booking a delivery slot gives the buyer certainty as to when they will take ownership of their new car. What the ecommerce experience is designed to facilitate is a flexible retail experience for consumers. It may be used to supplement initial research, to make a purchase after a test drive, or to avoid a visit to the dealership altogether if the consumer doesn’t want to drive 20 miles to their nearest showroom. Ordering online may result in a greater choice of features, too. Overall, the aim is to fit in with the busy lifestyles of consumers, offering a better proposition than other OEMs. This proposition may even be as important as the product itself – as Patterson highlights, Amazon’s proposition is what draws in consumers, the reliable next-day delivery. Car buyers could be similarly attracted to reliable online purchases for cars, swaying their decision as to which model to buy. The Peugeot online buying experience has this capability to provide oversight of what configurations come with shorter or longer waits, catering for buyers who need a car quickly or those who are willing to wait for exactly what they desire. 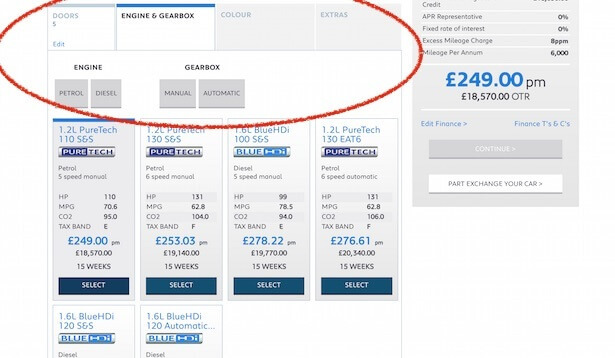 It is these differing purchase journeys that make automotive ecommerce so tricky – some customers are all about budget, others focus on performance, there’s the complexity of part exchange (what if the vehicle doesn’t arrive in the expected condition) and finance to consider. For some customers, the longest part of the purchase process is what happens after hitting the buy button (finance, licensing, awaiting delivery etc. ), whereas other more considered buyers are still more interested in inspirational content and research, before committing. These different personas dramatically impact what an OEM website and buying experience should feel like. Mixing the inspirational with a, say, 50-step configurator, all the while maintaining buying momentum is no small task. Dealerships are the elephant in the room. Of course, many dealers do a fantastic job of customer service, but others don’t. And for those buyers who hate sitting in a showroom trying and failing to haggle for some footwell mats, the idea of buying online is a promising one. But, however much OEMs are looking to innovate with direct-to-consumer, dealer are themselves innovating, working with OEMs to deliver new store formats that utilise the strengths of the OEM, the dealer and digital technology. Ponsford, Summit’s Head of Digital Transformation for Automotive, tells me Fiat was one of the first OEMs to use an alternative store format, in 2011. These can be branded experience stores, or a temporary pop-up in a shopping mall run in partnership with a dealer group. In both cases, the manufacturer will invest in the store and help with the look and feel, and the dealer will run it. 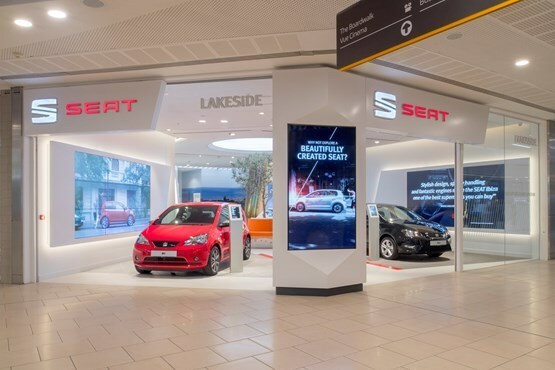 Seat recently launched a new store in Westfield White City – allowing consumers to book a test drive and buy a car, either from current stock or a factory order. Westfield has an enormous catchment area of people, and the data collected from such a store will allow leads to be followed up by the manufacturer. This is a relatively new solution to the problem of out-of-town dealerships (where forecourt space is affordable). Pop-ups may also introduce customers to an OEM or dealer website, helping to tie up the customer journey further. And one look at the website for Seat’s shopping mall storestells you all you need to know about what they are trying to achieve, with the website copy advertising ‘no pushy salespeople’, ‘unaccompanied test drives’, and ‘no haggle pricing’ – a world away from the dealership experience. A picture of a slicker multichannel journey, catering for many customer personas is emerging. Will direct-to-consumer be a good thing? There’s still a lot to come out in the wash here. 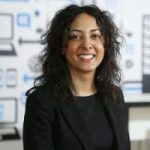 OEMs need time to adapt – they traditionally build and sell a new model of car every five or six years, and this episodic way of working isn’t conducive to ongoing optimisation – the test and learn mindset that online retail demands. Now that Peugeot has got the necessary functionality in place, the question is how can it optimise the entire buying journey. At the moment, for a typical retail sale, the OEM’s marketing and TV advertising may differ from dealer messaging, it may be tricky to link leads to sales, and customers often end up communicating separately with OEM, retailer and finance provider. Of course, direct-to-consumer won’t solve this puzzle immediately, and OEMs have little heritage in CRM, but there is an opportunity here, for manufacturers to start learning more about their customers. So, there’s still a mindset change needed in parts of the industry, but the success of the Peugeot site so far is that it has been selling cars for the last six months, and Pegeuot has been learning all the time, ready to implement versions two and three before the competition has got up to speed. Expect automotive online retail to be a big trend over the next five years, as consumers begin to feel that buying a car online is no big deal.